MSI Computer Corp, a leading manufacturer of computer hardware products and solutions, is excited to launch a new, strong and sophisticated gaming desktop generation: the MSI Aegis Barebone PC. Designed from scratch and built to be the ultimate weapon and shield for gamers. Aegis comes with a breathtaking case design that is compact, easy to upgrade and houses a full sized MSI GeForce graphics card, up to GTX 980 Ti. We wanted to revolutionize the Gaming desktop aethetics. To do this, we went back to the drawing board for Aegis, and designed it from scratch. 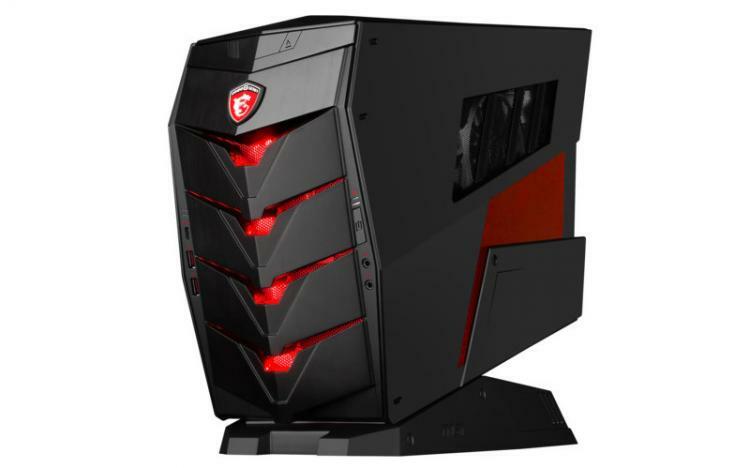 The result is a strong, incredible and unmatched looking gaming barebone PC that can accomodate all the components of a full-size desktop PC packed into a compact case. The Aegis can easily be carried around with you via its built-in handle. Be the center of attention at your next LAN party. Play the latest games in all their glory with MSI Aegis. It can be equipped with the latest high-end graphics cards. The compact case is future proof, as it has enough space for a full size graphics card to bring all the power that real gamers need. 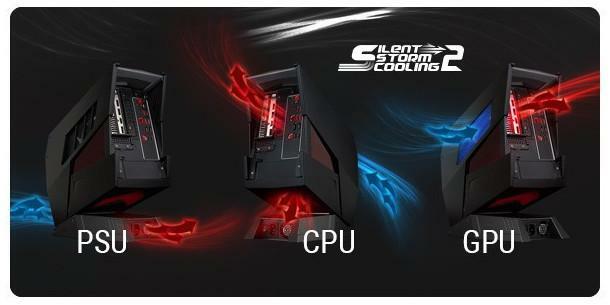 To get outstanding performance Aegis is equipped with a powerful cooling system, Silent Storm Cooling 2. Embracing three separate air flow streams that individually take care of the cooling of different components within Aegis. The unique Silent Storm Cooling 2 design makes sure the system's temperature stays perfectly under control, ensuring a cool and silent operation. For gamers who always want to get the best out of their system, the components of the Aegis are easily accessible and ready to be upgraded at any time. 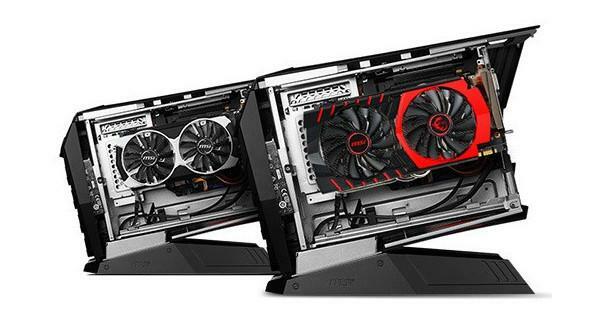 Whether the user wants to expand storage, switch to another CPU or upgrade the graphics card, he can always keep the MSI Aegis gaming rig up to date with the latest hardware. Make your build look like it's on fire or as cold as ice. Choose a style with Mystic Light RGB LED built into the front of the case and select any of the colors from the palette to match and give Aegis its own gaming look. Or use breathe, gradient or Gaming & music modes. Delivering the crispest sound signal to gamers' ears with special hard- and software amplifiers built in. Audio Boost 3 is integrated into the Aegis motherboard and produces the best sound, especially benefiting gamers using a gaming headset. Nahimic Sound Technology software is used to boost the audio performance to the next level. Get immersed with high definition virtual 7.1 sound using advanced sound enhancement effects and unique features for gamers.